Multiple Offers - H&B Due 2/12/19 @ Noon. 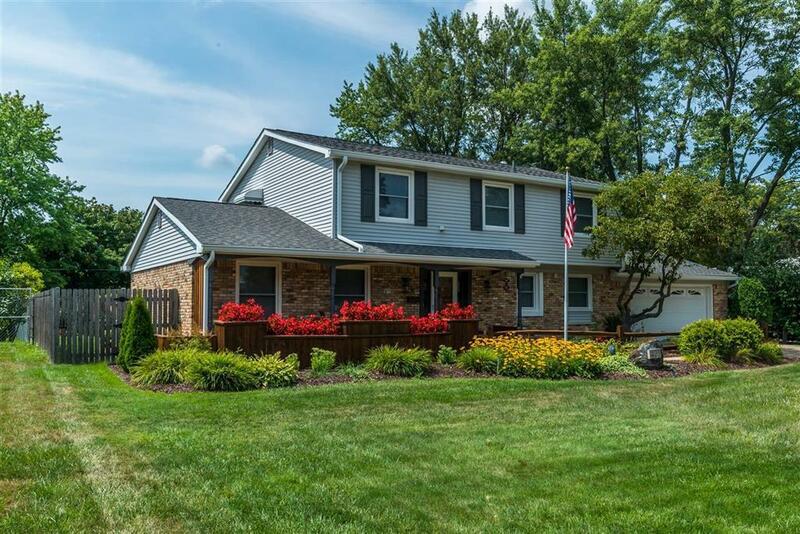 Wonderful Family Home with TONS of updates! You can move right in & enjoy all this spacious 2392 sq. ft. home has to offer. Featuring 3 bedrooms, 2 full baths, 1 half bath, new granite kitchen, stainless steel appliances, RO system & dining that walks out to beautifully manicured backyard. Living room, firelit family room w/new gas insert, Florida room with A/C & hot tub! Make your way up to the 2nd floor to find a spacious master suite that has a walk-in closet w/built-in's & full bath w/tile shower, 2 additional bedrooms, 1 full bathroom & large laundry room. Partially finished basement is great for storage or a workshop. Large fenced backyard that's well manicured & has 2 shed's for storage, one w/electric. New furnace & hot water heater in 2018. All new paint inside & out, new kitchen, new flooring, new roof in 2009, bathrooms updated w/in last 3 years. So much to LOVE about this home, it's truly a must see!